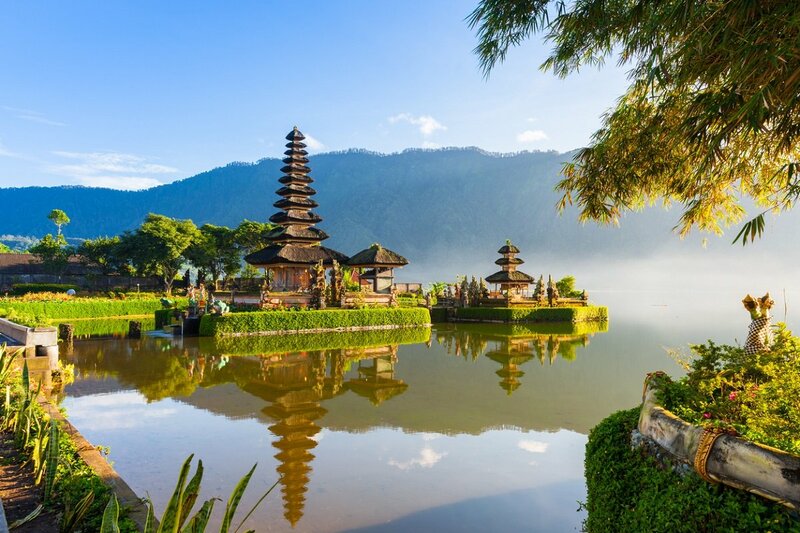 Bali Tours 2019/2020 - Book Amazing Package Holidays to Bali here! 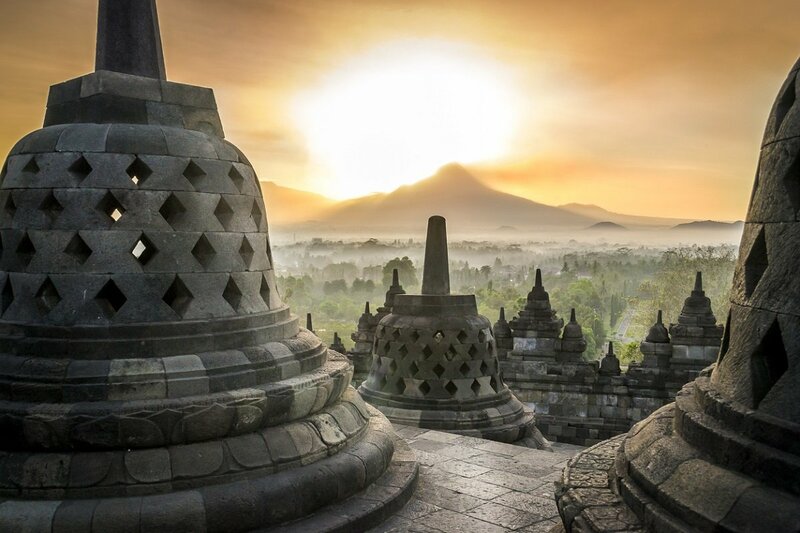 Bali, with its Hindu temples and stunning surroundings, is known as the “Island of the Gods”. On a Bali tour, you enjoy the perfect combination of breathtaking scenery, unique culture and paradise beaches. Check out all our tours to Bali below. Why should you holiday in Bali? 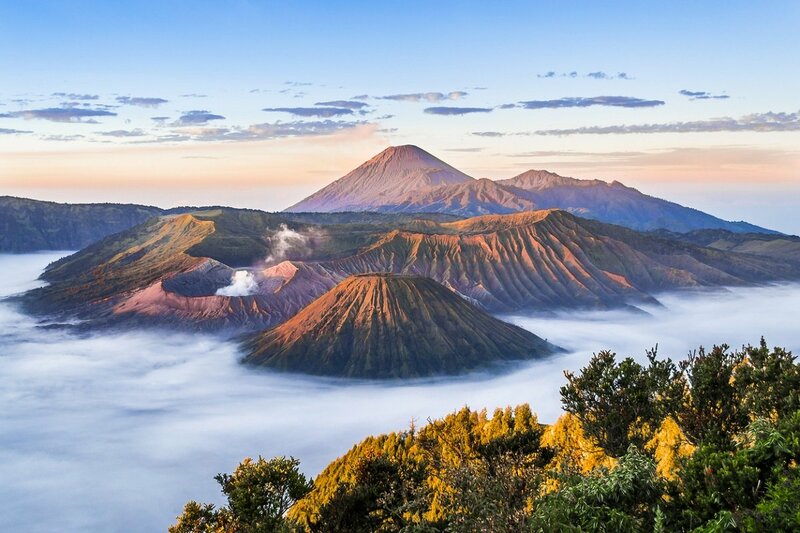 Indonesia consists of thousands of islands, including Bali, which despite its small size, is one of the undisputed highlights. Bali is known as the Island of the Gods – and rightly so. Discover its majestic and breathtaking scenery, beautiful Hindu temples and endless, paradise beaches, which make the island the perfect place for a beach holiday. 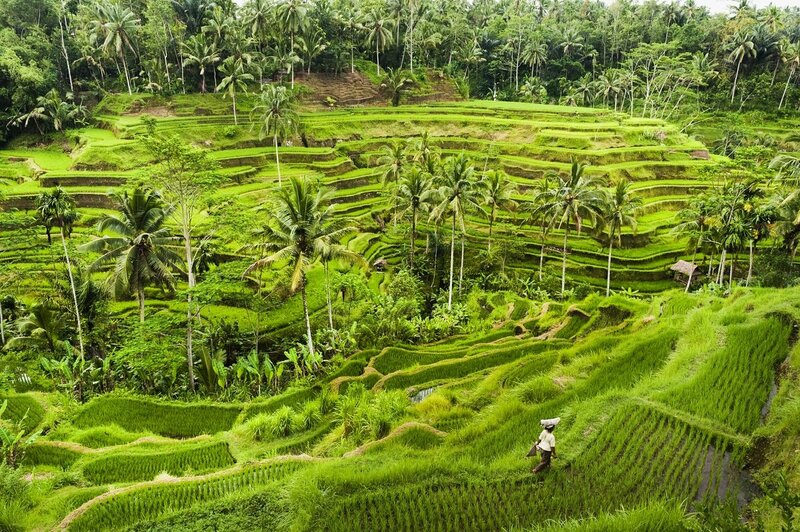 Below, you can read more about some of Bali’s amazing highlights. 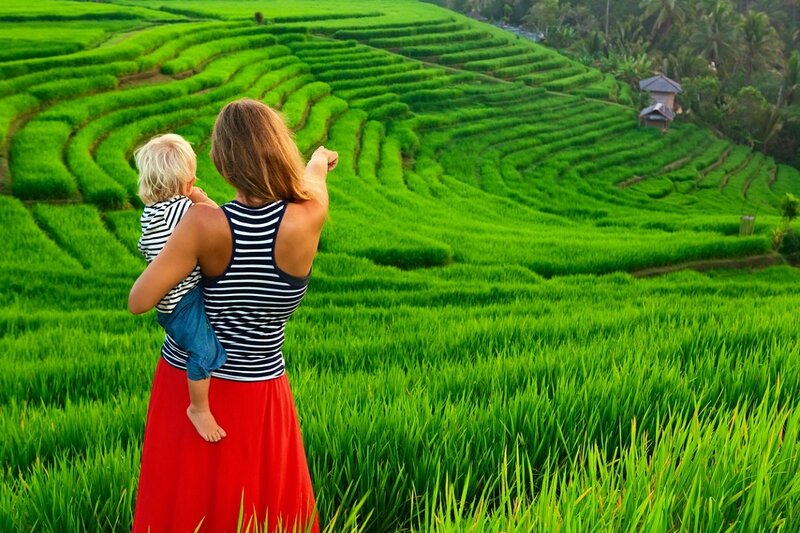 Scenically located in the volcanic highlands, nestled between lush green mountains, deep gorges and emerald green rice terraces, you will find the town of Ubud, a must-see on your tour to Bali. 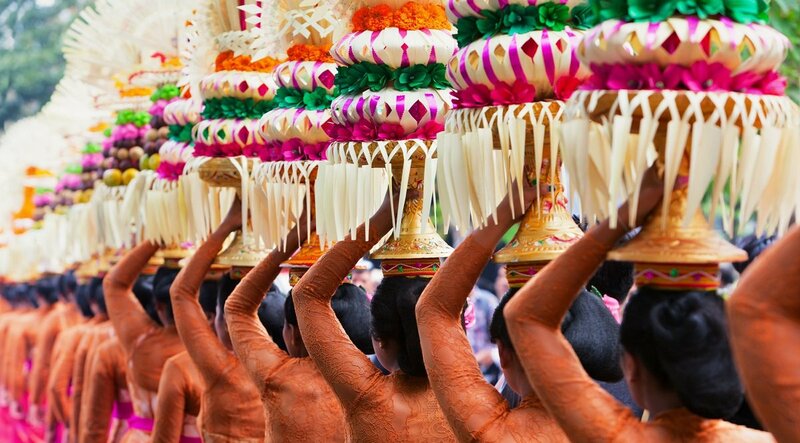 The town is considered Bali’s cultural heart and spiritual capital, where art and crafts are very much in focus. You will find many shops selling the beautiful wares made according to age-old traditions. 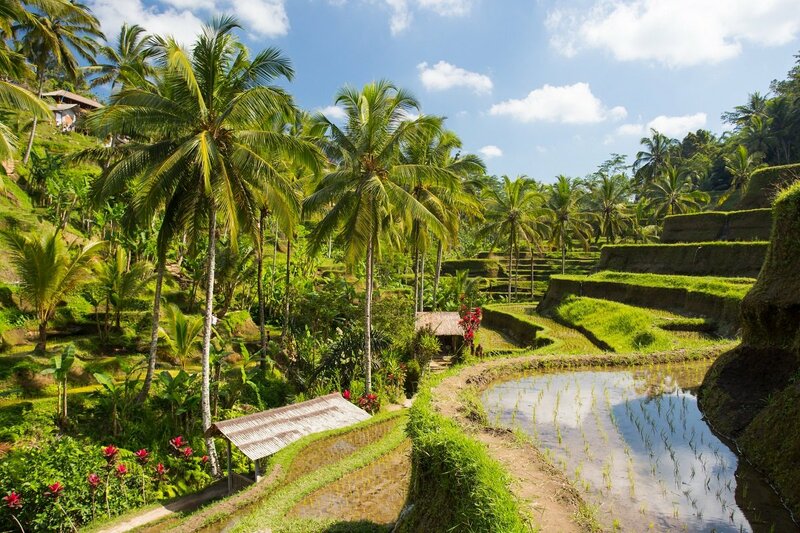 Due to its small size, it is also possible to explore Ubud on two wheels, and discover villages, rice fields and stunning views of the Mount Batur volcano and the crater lake. 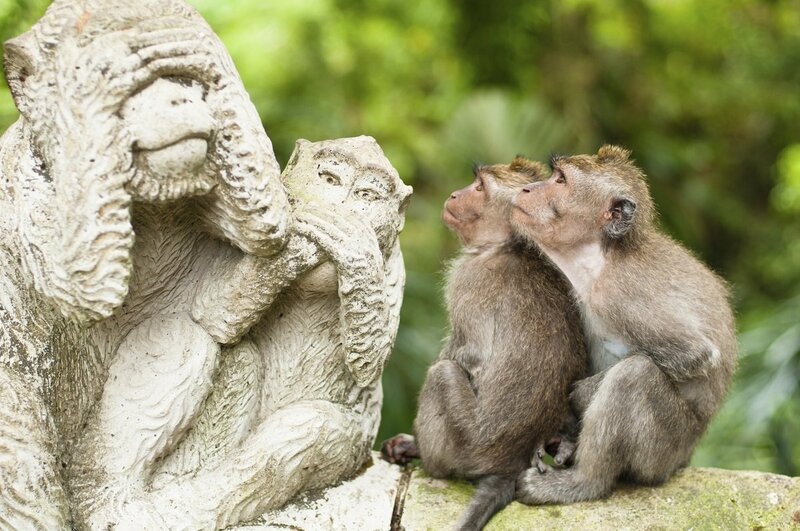 Visit the Monkey Forest, one of Ubud’s biggest attractions, where you can experience the long-haired macaques in their natural surroundings. In the outskirts of Ubud, there are small craft villages, each with its own speciality, e.g. wood carvers in Mas, stone carvers in Batubulan and silversmiths in Celuk. If you have an appetite for adventure, you can go river rafting on the Ayung river through the jungle near Ubud. Discover villages, nature and waterfalls as you flow past at the river’s speed. Please note that the rafting trip in Ubud is an optional extra. Bali has thousands of temples. The iconic landmarks are almost synonymous with Bali, hence the island’s nickname “the island of a thousand temples”. Hinduism plays a major role on the island and is a unique part of Balinese culture. 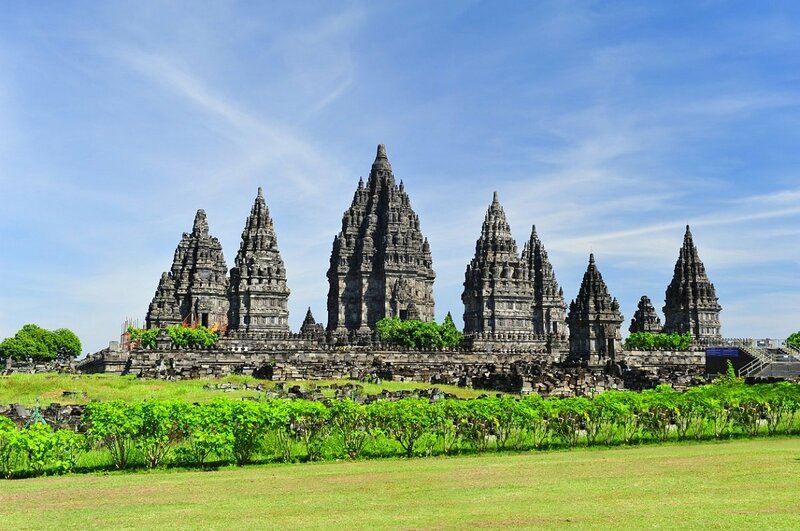 On our holidays, you will discover some of Bali’s largest and most beautiful Hindu temples. In eastern Bali, you can visit the Besakih Temple, which enjoys a scenic location atop Mount Agung, at a height of almost 1,000 metres. 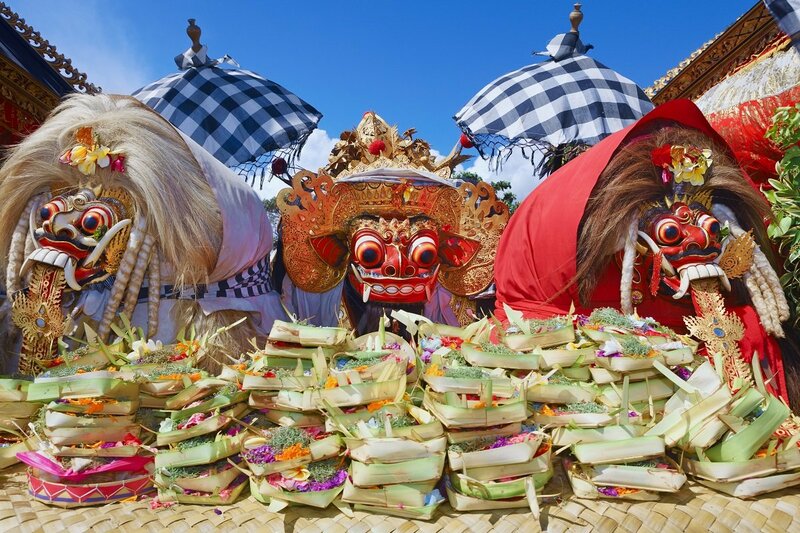 The temple, which is also known as the Mother Temple, is Bali’s most important and most sacred temple. In south-western Bali, you will find the Tanah Lot Temple. 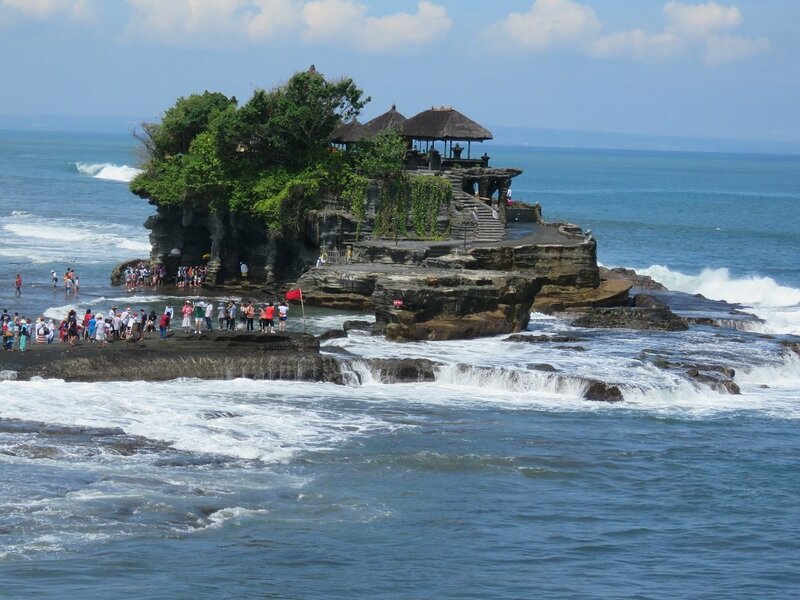 Tanah Lot is beautifully located on a rock by the sea, and the temple is one of Bali’s main landmarks. 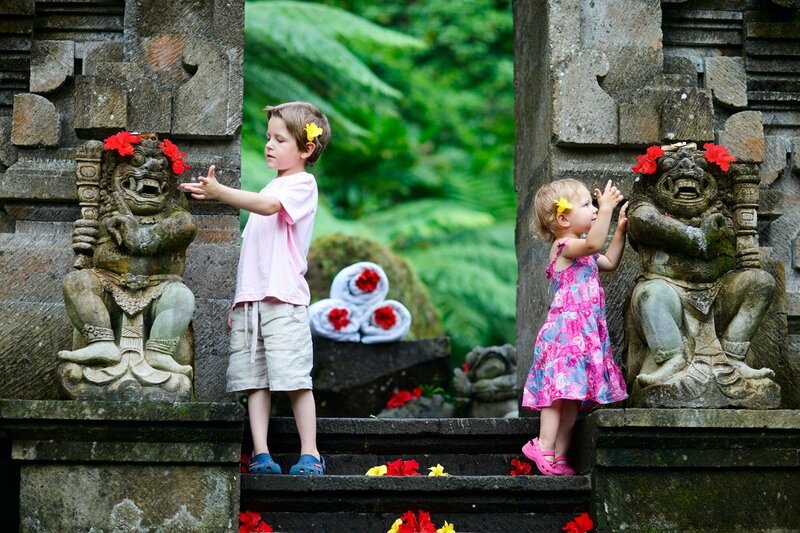 North-east of Ubud, in the village of Tampaksiring, is the Hindu temple Tirta Empul. The temple is located at 12 sacred springs. The Balinese bring daily offerings and many of them bathe in the holy water. 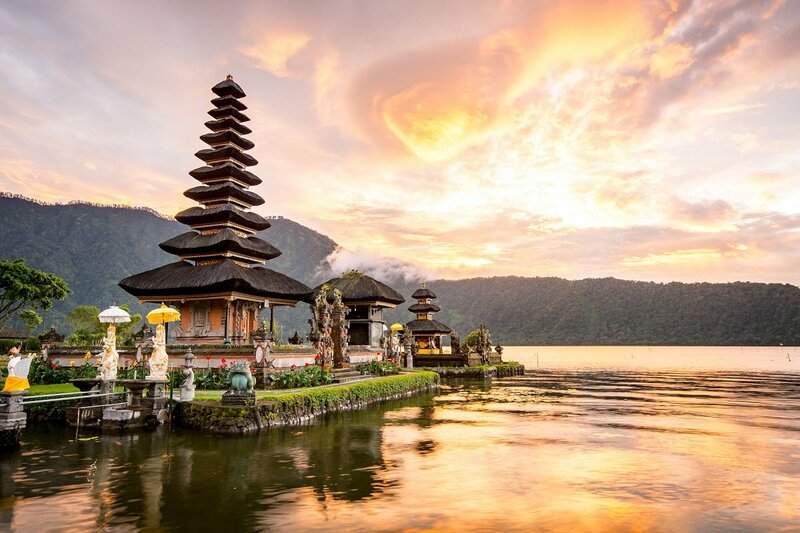 On the west bank of Lake Bratan, you can experience the water temple Ulun Danu, which dates back to the 17th century. 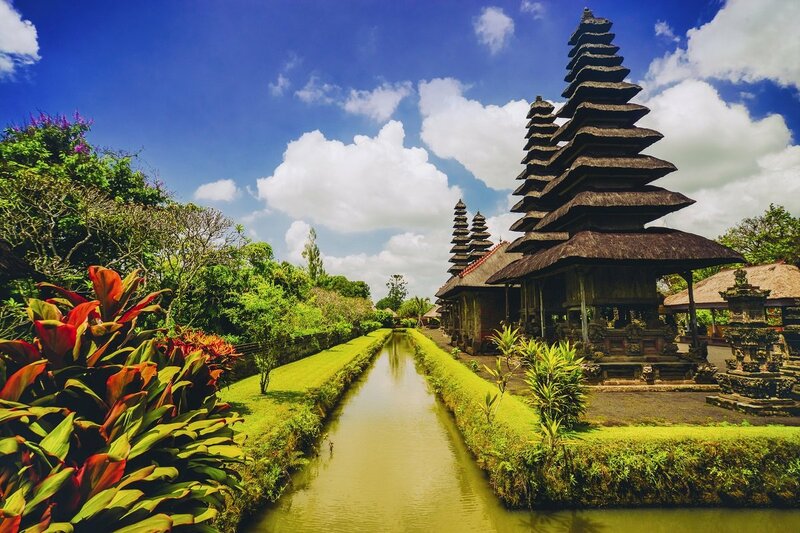 The photogenic temple is situated in picturesque surroundings and is often depicted as a symbol of Bali. Pemuteran is a quiet village offering easy access to some amazing experiences in the north and north-west of Bali. Bali National Park, which is located in the north-west of Bali, consists of rainforest, mangroves, savannah and beaches. The park is home to 160 different species of bird, but the National Park was founded in 1941 specifically to protect the incredibly beautiful yet seriously endangered Bali myna, which is endemic to Bali. Not only is the park a bird watcher’s paradise, but you might also be lucky enough to spot deer, reptiles and monkeys while trekking there. Roughly 10 km from Bali’s north-west coast, you will find the island of Menjangan, which is part of Bali National Park. The island is surrounded by a spectacular reef which, together with its marine life, makes it a favourite destination for snorkellers and divers from all over the world. 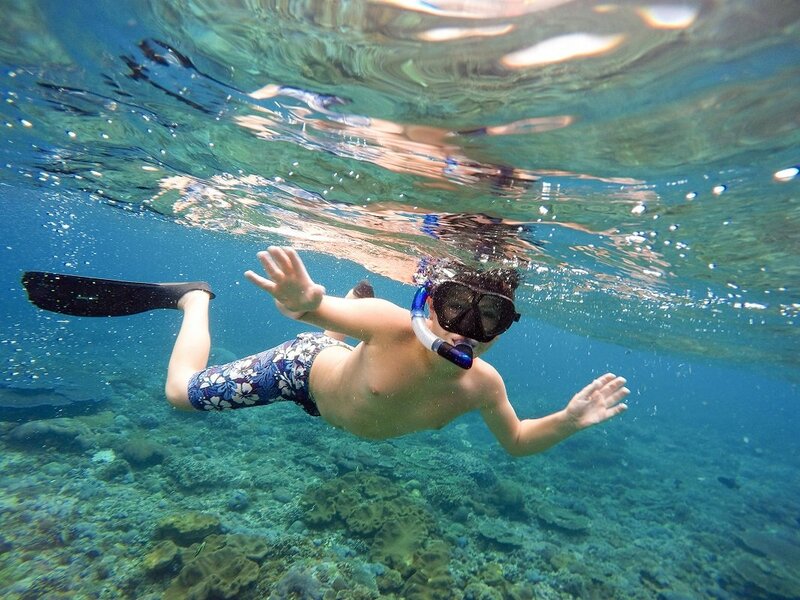 We take you out snorkelling. You are sailed out to the spectacular reef, where a snorkelling guide shows you around, pointing out fish, seafood and corals. At Lovina Beach, in northern Bali, you have a very good chance of seeing dolphins. Three types of dolphins live here in pods of around ten to several hundred. 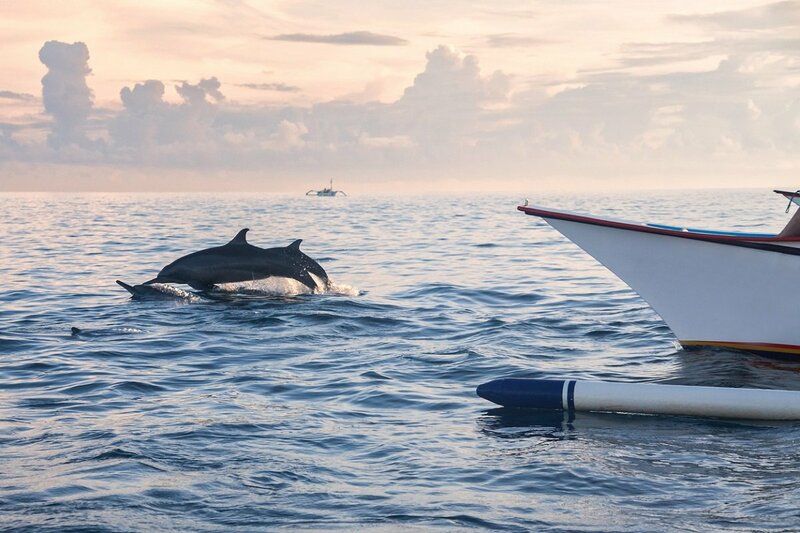 You sail out in an outrigger fishing boat in the early hours of the morning before the sun rises to look for the dolphin pods. The dolphins are most active in the morning, when they are looking for food and jumping playfully in and out of the water. Lovina Beach is also known for its black lava sand, and many people travel here to experience the bay with its clear calm waters, in addition to the dolphins. 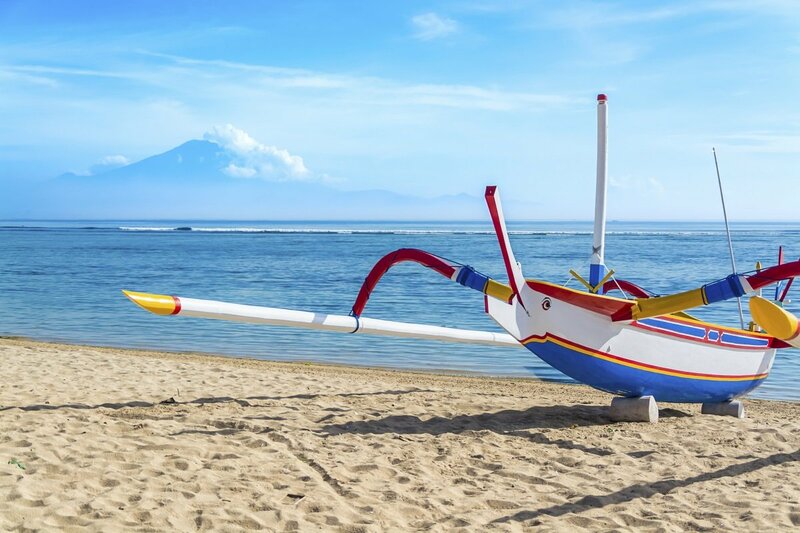 Sanur is located on the coast of south-eastern Bali and is one of Bali’s most popular seaside resorts. It offers miles of beautiful sandy beaches and is the perfect destination for a wonderful beach holiday. The beach is protected by a coral reef, making the water calm and the beach incredibly child friendly. Besides the beach, you can also stroll through the lovely town, where you can experience temple ceremonies, taste Javanese coffee or visit one of the interesting restaurants where you can taste Balinese specialities. 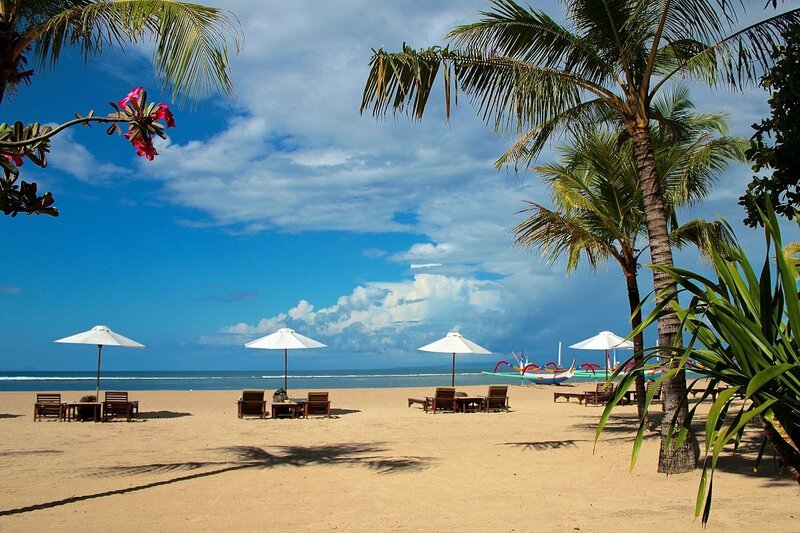 Selected holidays can be rounded off with a beach holiday in Sanur. 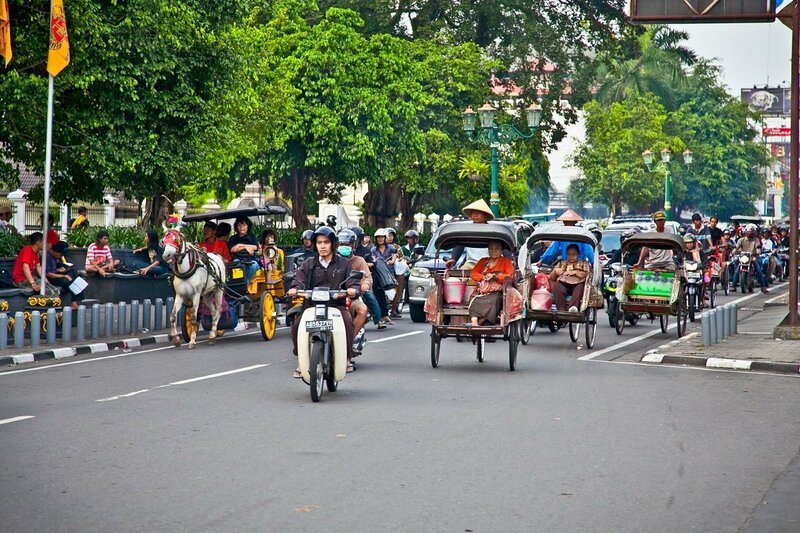 Seminyak is situated on Bali’s west coast and is known for being the island’s hippest and most exclusive beach resort. The resort boasts fabulous sandy beaches with crystal clear waters and plenty of scope for surfing. The town has an array of good, modern shops, and the streets are lined with excellent restaurants and trendy bars where you can end the evening with a colourful cocktail. 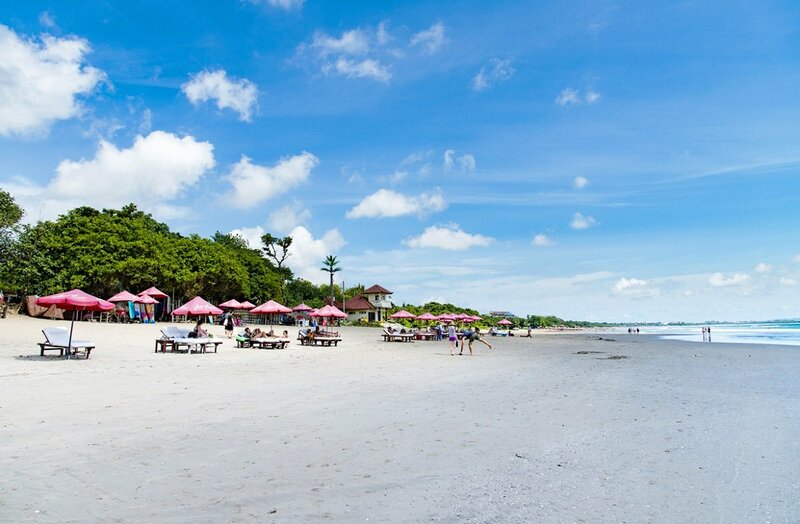 Selected holidays can be rounded off with a beach holiday in Seminyak. The following sights are also waiting to be experienced in Bali. 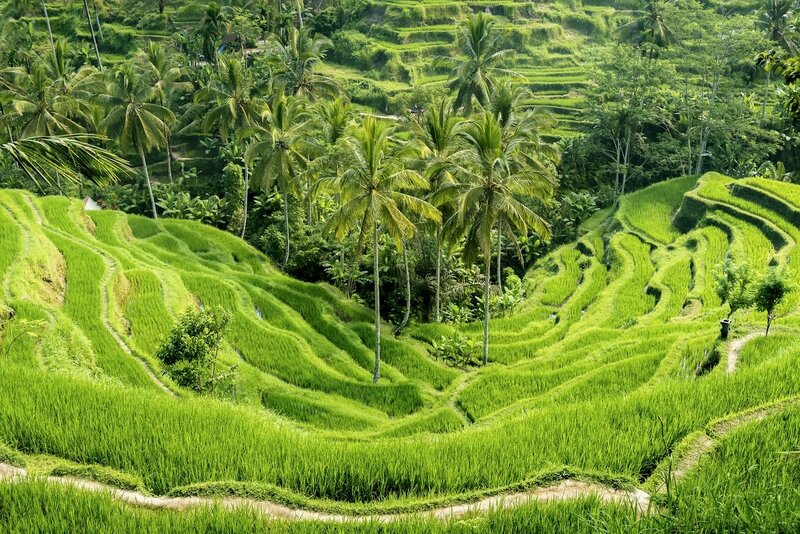 Discover Bali’s world-famous rice terraces, e.g. at Pupuan or at Jatiluwih, a UNESCO World Heritage Site. Kerta Gosa, also known as the Floating Pavilion, is the old Hall of Justice in Klungkung. The ceiling of the open building is decorated with pictures depicting what happens to you when you die if you do not behave properly in your earthly life. Visit the village of Tenganan, which is inhabited by the Bali Aga, a group of people considered to be Bali’s original inhabitants before the arrival of the Hindu-Javanese. The village is also known for its unique weaving technique, and you have the opportunity to buy beautiful hand-woven items. Between Bali and the island of Lombok, you will find the Gili Islands. Gili consists of three islands, and you will visit Gili Trawangan, the largest of the three. The islands are surrounded by beautiful coral reefs, and so not only offer a beach paradise with sublime sandy beaches, but also a paradise for divers and people wishing to snorkel. Motorised vehicles are banned on the islands, so you get about by walking, cycling or on horse-drawn carts, making for a very special experience. Selected Bali tours can be rounded off with a beach holiday on Gili Trawangan. Komodo is a UNESCO-protected national park located east of Bali. On the combined tour with Komodo, you visit the islands of Rinca Island, Flores and, of course, Komodo. Komodo Island is home to the hefty Komodo dragon, the world’s largest living species of lizard, which also lends its name to the island. See the big lizards in their natural surroundings. On the island, you can also see buffaloes, wild deer, parrots and a scenic, yet rugged landscape, which differs somewhat to what you have seen in Bali. 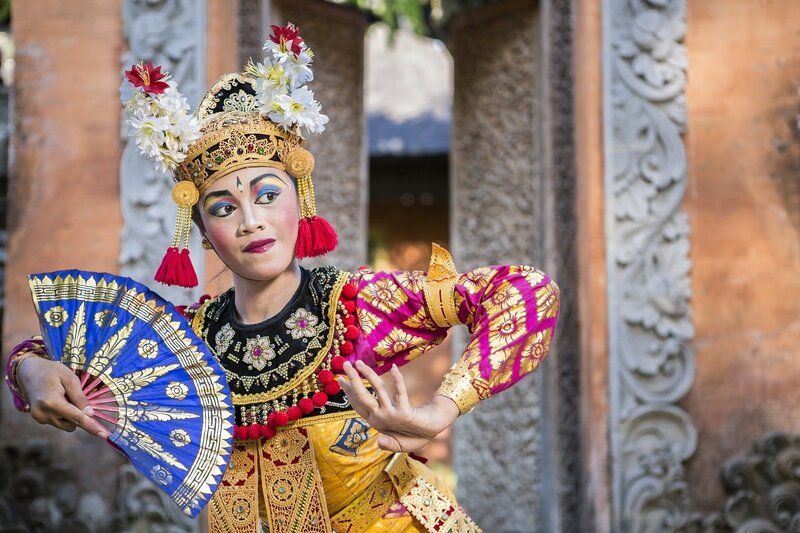 If you have any questions about Bali, obtaining a quote, booking the tour or our other tours to the Far East, please contact our travel consultants. We look forward to sending you on your holiday of a lifetime! When is it best to travel to Bali?